Testosterone cypionate. Effects, dosage and all necessary information. 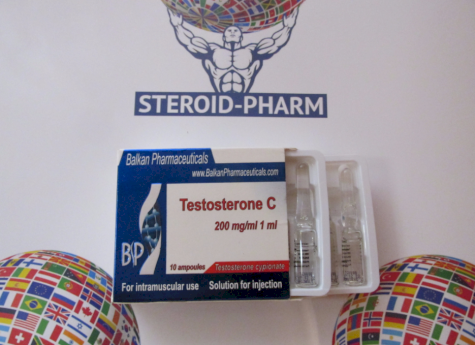 Nowadays Testosterone cypionate has achieved a great popularity among athletes. It is a long steroid, its activity in the body is equal to 15-16 days, and the half-life is equal to 6 to 8 days. This drug is produced in a form of an oil-based injection. Because of the steroid remains active in the body for a long time, it is able to accumulate and retain water in the body, and in some cases even better than other steroids. Cypionate can be used both solo and in combination with other drugs, but most often it is taken in combination with other steroids. Getting into the body, Testosterone Cypionate begins to act according to the same scheme as natural Testosterone in human organism. It causes a decrease in the tone of the voice,and is responsible for the normal level of libido, nervous excitability and aggression, the growth of muscle mass. Testosterone has an effect on anabolic receptors, which increases the nitrogen retention in the muscle fibers, which directly affects the growth of muscle mass. Despite the fact that Testosterone Cypionate has a huge number of advantages, it has several disadvantages too. 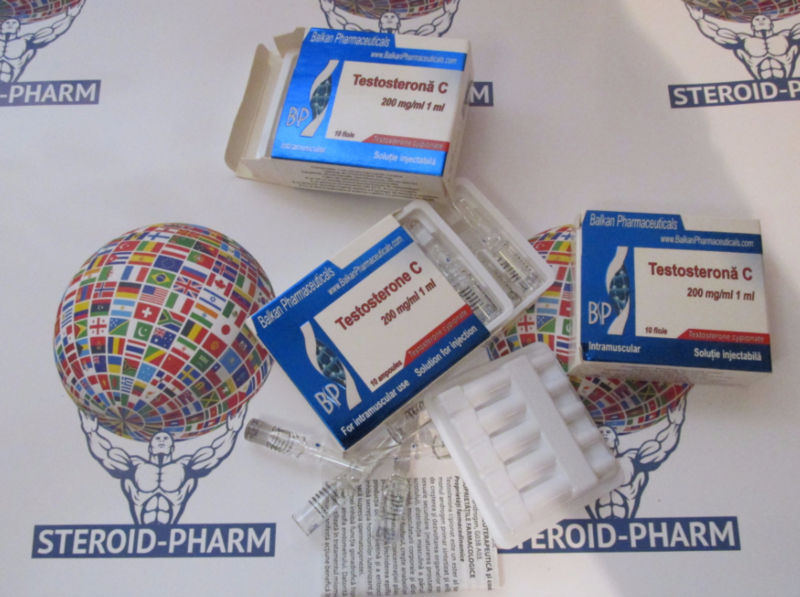 The main disadvantage of this steroid is that it is strongly prone to aromatization, it means that it is converted into estrogen. If there is an overabundance of estrogen in the male body, the process of feminization of the organism starts (females signs appear). Among estrogenic side effects are: fluid accumulation, gynecomastia and growth of adipose tissue by female type. In addition, there is a decrease in libido, the suppression of sexual activity, in some cases it can lead to the atrophy of the testicles. Most of these side effects are easily prevented if the drug is taken correctly. Thus, the main rule while taking this steroid is to be stick to the dosage. The Testosterone Cypionate can be excellently combined with other steroids, which allows you to make its various combinations with many drugs. Despite the fact that the drug remains active in the body during quite a long period of time, the optimal frequency of its taking is to make injections once a week. This is done to keep a high concentration of steroid in the blood. If you want to gain muscle mass, the optimal weekly dosage of the drug for you will fluctuate in the range of 250-500 mg. As it was already mentioned above, it is incredibly important to take this drug correctly. The motto "the more - the better!" in this case is absolutely unacceptable, because increasing the dosage to 800 - 1000 and higher may significantly increase the risk of side effects. In order to avoid the undesirable effects from estrogens on your body, you need to start taking Tamoxifen (10 mg per day) from the second week of taking the course. The reception of Tamoxifen must be stopped in two weeks after the end of the testosterone cypionate course. In case if the duration of the course is more than four weeks, gonadotropin should be taken from the third week of the course (500 ME once a week). To avoid purchasing fake drugs and appearance of serious side effects we recommend you to order medicaments fro trustable dealers. You can order this drug on our website and be sure that you will receive 100% pure drug at the attractive price.